Many of you think that my work as a life coach means I don’t experience common struggles like everyone else. But the truth is that knowing how to help other people is easier than knowing how to help myself. Sometimes it’s hard for me to follow my own advice, so today I’ll share my struggles with frustration – particularly the frustration of dealing with two puppies. Much of the time, my plans are put off and I can’t get any work done due to the distraction of raising these pups, and that was getting me really frustrated. 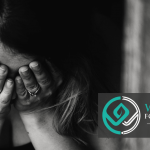 Listen in to hear my personal story of dealing with immense frustration and how I was able to change my mindset to overcome this negative emotion. I’ll go over the common forms of frustration we deal with and how to understand where they come from in order to turn things around. How I reached the end of my rope because of the story I allowed in my head. What changed the narrative for me and switched my mindset almost immediately. What frustrated thoughts all stem from. Why acceptance is not the same as condoning. How resisting reality makes things harder on you. What you can do right now to re-evaluate your frustration and move forward from it. 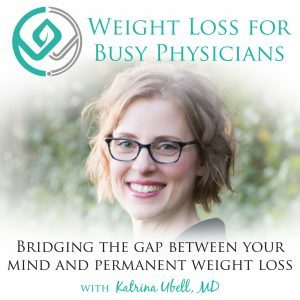 Katrina Ubell, MD: You are listening to the Weight Loss for Busy Physicians Podcast with Katrina Ubell, MD, episode number 109. Hello, my friend. How are you? So glad to be talking to you today. One of the reasons I’m so glad to be talking to you today is because it’s actually quiet in my house. As you are going to be hearing, I have been going through it with these puppies. I know it’s just like, “Okay, whatever, puppies,” but for real, my life has been kind of turned upside down. I’m going to talk to you more about that today as we talk about frustration. I’m not sure there’s much that can make you as frustrated as puppies. Actually, that’s not true. There’s lots of things, but I want to talk to you more about that and the work that I’ve been doing on myself, because I think frustration is really a emotion that so many of us feel on a regular, regular basis, so I want to talk about that, but before we get going on that, I do want to let you know that I am moving forward with plans to have my first in-person event. It’s going to be in May. I don’t have a date quite yet, but I will be announcing it on the podcast as soon as I possibly can, as soon as I know, because I know many of you are going to want to make sure that your call schedules are cleared up for that weekend so that you can come to it. It’s going to be open to anybody, so for all of you veterinarians, podiatrists, chiropractors, lawyers, non-clinical practicing physicians, nurse practitioners, physician assistants, psychologists, all of you people who I love so much who I know are my raving fans and would love to work with me, but so far I haven’t done a group for you, I’m going to give you the opportunity to be coached live by me, learn some amazing stuff, meet a bunch of other amazing women who are like-minded. It’s going to be fabulous. I’m super excited about it, and I promise I will give you all the details as soon as I have them. Just putting that little bug in your ear so that you can file that away for May, coming up. Okay. Let’s talk about frustration, because it’s really so common for many of us. I know I can think of really probably I could rattle off 100 different things, scenarios, in my life that make me feel frustrated on a regular basis. It used to be a lot worse, but it came to my attention that many of you think that, because I am a life coach, that I don’t experience this stuff, that I don’t still have my own struggles that I go through, that I’m still not doing work on myself. That is super far from the truth, because it would be very cool if you became a life coach and then your brain turned into this robot kind of brain that just only thought positive, good-feeling thoughts that created all the results you wanted in your life. Actually, that wouldn’t be so great. You know why? Because as you know, it’s the contrast of emotions that make the good emotions feel so good, so then I would just be like, “This is super boring. I’m like elated all the time. Now what?” But anyway, you know what I mean. My daughter didn’t fully sleep through the night until after she was one. She’s my youngest, and there was no way I would have tolerated that with my first, but my point is that just because I help you guys so much, and help all my clients, and everybody gets amazing results, doesn’t mean that I don’t have to put forth the same effort and do that same work on myself. I just want to share this information with you so that you know, but also to help you to work through your frustration that you might be experiencing. I will just tell you what happened that made me think, “Maybe I should do a podcast on this.” Okay, so a few weeks ago, for about three hours, the dogs were going to be rehomed, like 100% not going to be living with us anymore. I had absolutely had it, and I was done. When I say done, I mean capital, and in bold, and italicized, D-O-N-E, done. Let me tell you what happened. I have had a really hard time carving out enough time to get my work done lately, because I’m used to my kids being at school and then being able to work. When I work, I’m efficient, and I get my stuff done, and I plan my time, and I just get it done. I can get a lot done in really just the few hours that my kids are at school. Then enter in some puppies, and we’ve had ups and downs where sometimes they do better and sometimes they do worse, but for the last few weeks, it’s been kind of the new thing, similar to when you have children. Right? Where it’s like as soon as you got one thing figured out, then they change it up on you, but I was getting to a point with them where they couldn’t really coexist together for an extended period of time because the little girl puppy, Sunny, would just constantly go after the little boy, Oggy. Sunny would just not leave him alone, and he would be tired and want to rest, and they are like children, like they need to take naps, or they’re really crazy and annoying, and she just wouldn’t leave him alone, so they would really have to go in their crates. If we had them separated, like upstairs in their crates but in different bedrooms, then Oggy really missed Sunny, even though she drove him nuts all the time, and so then he would just bark like crazy. Then we thought, “Okay, we’ll put them in the same room.” I mean, sometimes even their crates were like side by side, like they’re right there next to each other, cover them up with a blanket, white noise machine. I’m not joking. This is like sleep training a child. That worked for a little bit, but then he would still just complain and cry and cry and cry, and bark and bark and bark. She was totally silent, but then he would bark a ton. I spent a gazillion dollars on this thing called the Pet Tutor, which is actually very cool, and so you might want to check it out, but a trainer recommended it for us. It’s very cool, but I had to get two, of course, and they cost a ton of money, and all the accessories and everything, but basically what it is, is it’s a way to positively reinforce the dogs with treats when you’re not there in proximity. It’s like this treat dispenser that you can use your phone or like little click or remote control thing to dispense it. Like if they’re barking a ton and then they’re quiet, you can reward them for being quiet without actually being there with them, which is brilliant. Right? It’s exactly what I needed. I’m telling you it is just like high-pitched, and you can only take so much of it. I’ve been doing my absolute best managing my mind and just taking advantage of the times when I can work, but I’ve even tried putting in earplugs and noise-canceling headphones over my ears with the earplugs in, and these dogs are upstairs. I’m on a different floor than them, and I can still hear the barking, so it’s just very distracting. I’m always kind of thinking, “How can I get them to be quiet?” I think, “Okay, they need to just get some energy out.” I let them run around outside in the yard. We have a fenced-in yard, except we have this one railing down our stairs from the back porch, and Oggy, who I call the eel because he’s still really narrow, he hasn’t fully filled out yet as a male, he can slip through the slats. It’s unbelievable. You’d be like, “There’s no way,” and he totally can, like with ease. He doesn’t even have to really work hard. We haven’t done anything, because I kept thinking, “No, he’s just going to grow. He’ll be too big very soon.” There was a time where he had gotten out a couple times, but it was always because one of us was on the other side and he wanted to get to us, but then they were running around playing. I’m thinking, “Okay, let’s just have them get as much energy out as I can.” Then I’m standing by the door, because it’s cold outside. I live in Wisconsin, and standing by the storm door, just watching them, trying to do some work on my phone, answer emails, messages, and stuff, doing whatever I can, and then one day he literally came up. I thought, “Oh, they want to come in,” and then he, just right in front of me, snuck right out and started running away. I had no leash on him. I had no treats in my pocket because, of course, I just ran right after him, and so nothing to lure him back, and I didn’t want to run inside to get the treats, because I was home alone, so who was going to watch him? He doesn’t know not to go on the street. He’s only six months old. I ran around all … I mean, just envision this. Me running behind this dog, but trying to, like I’m so mad at him, but at the same time trying to be like, “Oh, come here, sweetie,” trying to get him to want to come to me. All behind in the neighbors’ yards and down their driveway, and then I’m worried about the streets, and then he came back and totally faked me out. I thought he was going to come back in. Then he started running down our driveway. Anyway, this has been the challenge. Okay, just setting the stage for you. Then I had this day where they were just barking a lot. It was just a day I had not gotten a lot done, and it was just kind of a hard day. That was fine. Picked up the kids. We were doing our thing. Everything was fine, and they have also been really challenging to potty train. I don’t know why. Our behaviorist that we work with is also flummoxed by how difficult they have been to potty train, although we have been making very steady, gradual progress. She thinks it’s related to how the breeder had kind of kept them for the first 10 weeks or so that they just never really got the sense of what they’re supposed to do. We’re working on it, but anyway, so I was getting kind of tired of the accidents. They were supposed to get bigger, and our other Westie that we’d had was totally potty trained by this point. I was doing the dishes. Matt was upstairs. My husband was putting the kids to bed, and I had the dogs downstairs. We have been working on trying to have them sort of coexist with us. Just chill out and kind of hang out, not having the whole run of the house, but just kind of a more confined space, but because the way my house is laid out, I can’t see everything. I have a pretty big eye lens, so I can’t see around it all the time to see what they’re doing. I’m doing the dishes, and it’s just like with toddlers where you’re like, “They’re awfully quiet. What’s going on?” I walk over, and they’re both sitting there, and someone had totally pooped. I could totally tell who had pooped because of the pattern of the poop. This is what’s so crazy. I’m sorry if you find this gross, but it’s so funny. Sunny is like a poop walker, like she walks and poops, and walks and poops, and the poops were all in this perfect circle, like all these little poops. Oggy’s just sitting to the side, and I swear to you the look on his face was like, “Look what she did. You’re going to be in trouble.” I was just like, “Are you kidding me?” I started totally getting frustrated. There is a point to this story. Getting really frustrated like, “Really?” They had just been out. She had already pooped after dinner. She typically doesn’t poop again, like what the heck. I’m like, “He really should be fine,” so he’s hanging out, and he can be a little quieter guy, kind of lay down. Then it’s really getting quiet, and I think, “I should really check on him.” He had also pooped in the house. I kid you not, I was just livid. I was so frustrated, so I, like a crazy person, call upstairs, but more than call upstairs, I yell upstairs, “Matt, did Oggy poop after dinner?” He’s like, “Yeah, he did.” My brain was unleashed is the only word I can think of to describe the level of frustration that I was experiencing. I was done, absolutely done, that both of them would poop in the house some more without any thought of maybe somehow letting me know that they might possibly have to go. I was just done. I was so mad, and then my brain started just creating these stories like it was just so convinced. It’s so crazy how our brains will create these stories and be so convinced that it’s the truth. In my brain, I mean, I was on fire. I was so mad. They were absolutely gone. I already had a plan for all the people we were going to ask if they wanted the dogs, and if they didn’t, who we were going to contact to find another home for them. I was done. Matt comes down, and I’m like, “Listen here. These dogs are going away.” I had absolutely had it. I totally just went off. I come up for air, take a breather. Matt looks at me, and he’s like, “I made a mistake. I had forgotten that Oggy had not pooped after dinner,” and then my 13-year-old son, he had asked him to take Oggy out a little bit later, but forgot to tell him to wait for Oggy to poop, so Oggy had peed. My son brought him back in, and so he had not pooped. Because Sunny pooping in the house was like, “It happens,” but Oggy, it’s like he knows better. He does better than that. All of a sudden, I’m like, “Well, wait. Shoot. Now my story isn’t my story anymore. I have to reevaluate everything.” He tells me this, and I think, “Well, okay, but this is just still so hard,” and then he goes, “Well, listen. If we get rid of these dogs, then we are done with dogs. Then we are not going to get another dog. We’re not getting other puppies. Then we’re done. This is it.” I was just like, “Well, crap.” Then I felt really sad, because I really do want dogs that are great pets, family pets. I don’t want to not have these dogs. I mean, I already had a plan to talk to the kids the next day about getting rid of them, and here’s the thing. My kids really loved these dogs, so I knew it was going to be hard, but it was the right thing to do. I took a breather, and I sat down, and this is what was so fascinating. Right? I could not really get to a new thought. I was so consumed with these frustration-creating thoughts that I couldn’t really get to a new thought, and I thought, “Well, okay. I’ll just sleep on it.” Matt’s like, “Don’t make any decisions when you’re in this frame of mind.” “Okay. You’re totally right,” but you guys know I’m not on Facebook personally anymore, but I do have an account. A while back, I had asked for membership to a Facebook group about Westies, just thinking like it might come in handy. Every now and then, it’s just helpful to have that kind of opportunity to talk to other people who have the same breed of dog really understand the idiosyncrasies. He was, my husband is so even-keel in emotion. I was seriously like, “Oh, my gosh. He is at his wit’s end. I’m not sure I’ve ever heard him this frustrated ever in my life.” It’s like these dogs, they really put you through something, tell you, but anyway, so we just have not been having the easiest time with them, and frustration has been a huge part of it in managing frustration. You know I am very, very human, just like you. Maybe you don’t have puppies that you’re trying to train, but I’m pretty sure that you can think of something else where you were just furious because of that frustration. I thought it would be interesting just look up what the definition of frustration is, because we talk about it so much, and we feel it really often, I think, a lot of us do, but I was kind of like, “How do you describe that?” The definition is, “The feeling of being upset or annoyed, especially because of the inability to change or achieve something.” I thought, “Ooh, that is such a good description of it. That’s exactly what it is.” I had already planned on what I was going to teach you and tell you about on this podcast, but this just completely confirms it. When you think about it, I was thinking, “Who are all the people we get frustrated with, or who are all the scenarios and stuff?” The list was super long, like dogs, our kids. I mean, it can be cats, too, any pet you have. Your kids, and we get frustrated when they’re babies, when they’re toddlers, when they’re school age, when they’re in high school, when they’re in college, when they’re adults on their own. Our spouses. Our mothers or fathers. Our mothers-in-law. Our fathers-in-law. Our sisters and brothers. Our sisters-in-law and brothers-in-law. Our friends. Our neighbors. Our medical assistants. 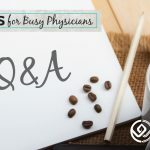 Our nurses or physician assistants or NPs or other ancillary staff. The partners that we work with. The medical staff that’s in charge of us or whoever our boss is. The HR manager who’s in charge of hiring all the ancillary staff, all the support staff, so maybe you don’t have control over them. You want someone to be fired, and they won’t do it, and you’re frustrated. The HUC on the unit. Now, we call it a HUC. I don’t know if that’s a term that’s used everywhere. I think it’s called, I think that stands for Health Unit Coordinator, so it’s the person who sits at the desk on the units, which I always find so interesting. Right? Because Health Unit Coordinator, but you’re not healthy if you’re admitted to the hospital. Interesting, right? I’m like, “That’s an interesting term.” Anyway, that’s an aside. The students that we work with. Our residents. Our fellows we might get frustrated with. The people in line with us. People in a movie theater. People driving around us. Definitely our patients, sometimes. Definitely the parents or family members of our patients. Sometimes we get frustrated with the weather. We get frustrated with stuff we own. We get frustrated with technology. We get frustrated with our EMR, our cars. We get frustrated with politicians, people in charge. Just the world, life itself, the universe. For sure, with our spouses, our other family members, we just go around with this idea of like, “Listen, if you would just behave and do all the things that I think you should do, act the way I think you should act, life would be great, so why aren’t you different?” Then we get frustrated when they’re not different. Super interesting, right? This is with everybody that we interact with, and then even like inanimate objects like our phones, or our computers, or things like that, like they should be different than they are. That is resistance. What we are doing is, we are resisting the way things are. We are resisting reality. A great Byron Katie quote is, “When you argue with reality, you lose, but only 100% of the time.” That’s so great, right? Because we’re just continuing to argue, and argue, and argue, thinking that somehow, someday, maybe we’re going to win, but you never are going to win. It’s not that at all. It’s just accepting that that is the way the person lives their life. This is the way that they show up. These are the words they say. These are the actions they take, and that really isn’t anything you can control. You might say, “I’m never going to do that. I’m never going to show up that way. I will never be like that, but that doesn’t mean that I have to resist the way they are, because the resistance creates so much more negative emotion for us.” We feel so entitled to it like, “I should really be resisting all of this because it’s the resistance that’s so important,” but is it really changing anything? What it creates is more negative emotion for you and for other people, potentially, if you’re involving other people in your story and getting them riled up, too. This is something that I work with my clients on all the time, and it’s something that we can tend to get a little bit on an intellectual level first, but actually applying it and understanding it truly deeply in our core is harder. As you can see, I’m still working on it, too. I felt so entitled to my story that we have to rehome these dogs that I didn’t really realize in that moment that I was just resisting how they are, and actually, even when I did realize that, I was like, “Well, but I don’t have to do this. It’s different than with kids. I really don’t have to have these dogs, but I do want to have these dogs. They’re so cute. Very sweet.” But anyway. How do you stop resisting? I often tell my clients that when you’re resisting, it’s like your fist is clenched, and all you have to do is open your hand. It’s literally as simple as that. You’re gripping what, the way you think things should be, and you’re just letting go of that. You’re just recognizing like, “Oh, the dogs are still, are supposed to be having trouble with potty training because they are.” Nothing’s going wrong. That doesn’t mean I have to accept that, “I guess my dogs are just going to poop in my house the rest of their lives.” Right? I’m not going to do that. I’m going to make some changes, but it’s not frustration that drives the action of coming up with a new plan that helps them to be more potty trained. What the frustration does is, it makes me a crazy person in my head who wants to just change the circumstance and get rid of them. Right? That’s what I was wanting to do. I was like, “I would like to feel better, so I would like to change the circumstance so that I can have new thoughts,” but I knew, with myself, I knew if I got rid, if I really went through with it and got rid of the dogs, I would just be so sad, and I would always be wondering, “What if we’d just given them a little bit longer? They might be amazing dogs, or probably someone’s best pet right now,” or something like that. I want you to think about where you get frustrated, who you typically are frustrated with, and what your thoughts are about them. You’re upset and annoyed, you’re frustrated, but what is it that you are unable to change or unable to achieve? In my case, I’ve been unable to achieve a full day of work in one stretch. Right? That thought that that’s a problem has created frustration for me, or thinking my belief that they would be different by now, that I would be able to just have them hanging out with me in my office with them snoozing beside me, and everything would be hunky-dory. Well, that’s not how it is, but I still have a belief, a hope that it’s going to be like that in the future. I’m going to do what it takes to make sure that that happens. Wherever you’re frustrated, what is the thought that’s creating that, and look at what your actions are. Like when you’re mad or frustrated with people at work, you’re generally not thinking of a good, positive, constructive way to talk to them. Instead, you’re having a tantrum in your head, and possibly eating to feel better, or gossiping, talking behind their back, complaining to people who aren’t able to change anything, and that doesn’t change anything for you. Right? It doesn’t change … Your result is that your experience is still the same. That’s why we continually feel so frustrated, because we keep thinking thoughts that frustrate us, that create frustration for us. Other thoughts are available to you, if you want to think them, that create different emotions. Sometimes, we can’t get to a place where we love the scenario, right? I don’t really want to get to a place where I’m like, “I don’t care at all that my dogs are pooping in my house.” No, I would like to care that they are pooping in my house so that I can take steps to change that, but frustration isn’t going to be the emotion that drives the action of me fixing the problem, and what I have found is that when I get my brain into a place of focus, and patience, and love for them is when my brain can come up with some solutions to try, different things to try. From that place, we can work on actually creating a different result for them and for us. That’s how we change it, but I’m telling you I really can’t wait to tell you on this podcast, at some time in the future, how great the dogs are and how they are just so sweet, and just hang out, and everything’s great. It might take 10 years until they’re elderly. I don’t know, but at this point, we’re hanging in there, and we’re going to do what’s required so that Oggy doesn’t run away, and all of the things that are required to be a good dog owner. All right. On that note, I will leave you with your thoughts of frustration. No, I just want you to think about what your thoughts are that really are creating all that frustration and how you can change them. Choose to think a different way that’s not so steeped in resistance and arguing with reality. It’s going to change everything for you, I promise. All right, have a wonderful, wonderful week, and I will talk to you very soon. Take care. Bye bye. I personally believe that dachshunds are the most stubborn dog. This product works wonders for when they don’t listen to you saying No! Much love and support to you and your pups!!! I needed this today Katrina! I was so frustrated with one of my dogs last night…on the opposite end of the age spectrum. She is 12+ and is waking me up due to her underlying health issues that make her excessively thirsty and in turn have to go potty more frequently. I mean I went far down the deep end of frustration thinking her end was near. Of course I had new thoughts and perspective today. Also, we have a young pup too – she’s over a year and a half now. A year ago I thought we had made a mistake getting a puppy and had a lot of challenges potty training her. Now she brings us so much joy that it’s hard to remember ever being frustrated with her. My family is obsessed with this Pomeranian diva! There’s great wisdom in “It too shall pass”.